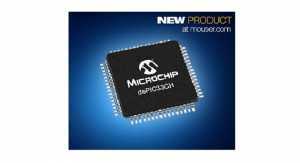 Mouser Electronics, Inc., the authorized global distributor with the newest semiconductors and electronic components, is now stocking the dsPIC33CH dual-core digital signal controllers (DSCs) from Microchip Technology. 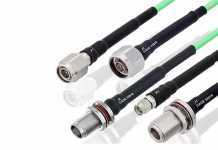 Combining two dsPIC DSC cores into a single chip, the new devices are the first in the dsPIC33 family with optional support for the Control Area Network Flexible Data Rate (CAN-FD) protocol for robust communication with increased bandwidth. The dsPIC33CH controllers are ideal for high-performance embedded applications that require sophisticated algorithms, including motor control, server power supplies, automotive sensors, industrial Internet of Things (IIoT) systems, wireless power, and industrial automation. The Microchip dsPIC33CH dual-core DSCs, available from Mouser Electronics, are built to allow independent code development by individual design teams while facilitating seamless integration in a single chip. The devices’ master core runs the user interface, communications and system-monitoring functions, while the slave core executes dedicated, time-critical control code. 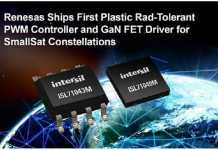 The controllers include high-performance peripherals including four 12-bit, 3.5-Msps analog-to-digital converters (ADCs) and up to 12 high-speed PWM channels with 250ps resolution. Featuring integrated power-on reset and brown-out reset, the dsPIC33CH controllers offer three low-power management modes for improved energy efficiency. The dsPIC33CH dual-core DSCs are supported by the dsPIC33CH Curiosity Development Board. Designed to make full use of the Microchip MPLAB X Integrated Development Environment (IDE) and the MPLAB Code Configurator (MCC) tool, the development board includes an integrated PICkit-on-Board programmer and debugger, through-hole and SMT prototyping area, and two MikroElektronika mikroBUS interfaces for hardware expansion.